North East Queens Realty – AS LONG AS YOU ARE GOOD TO YOUR CUSTOMERS, BUSINESS IS ALWAYS GOOD! I started this company in 2006, because I wanted to work for myself. 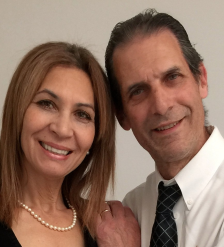 With a passion for real estate, developed by offering dedicated service to customers and clients for over two decades, I believe North East Queens Realty is a “unique boutique,” a customer friendly alternative to the high pressure rush of national franchises. BIG IS NOT BETTER. Nothing cements a deal quicker than the personal involvement by the on-site owner/broker, savvy sellers and buyers know this. This company speaks for itself with lots of sales and satisfied customers. Thank you for choosing North East Queens Realty. North East Queens Realty is recognized as a full service real estate boutique with experienced professionals ready to assist you in buying, selling, or leasing all types of homes, condos, co-ops, and commercial dealings. We have built a corporation with an impeccable reputation for professionalism, integrity, and success. North East Queens is the “HUB” of one of the most popular areas for residential and commercial locations in the New York metropolitan area. North East Queens Realty is synonymous with the north shores of Queens and Nassau counties; and our specialized agents are equally comfortable with servicing other areas, as well.